My original setup was my primary line through the scout. This past Friday, my primary number was ported from Vonage - so I changed my setup to be able to use both lines from my 2-line base. Hub - primary line, connected via "phone" port. "wall" port goes to scout. Scout - second line assigned. "phone" port connected to 2nd phone port on base. My Uniden has two phone ports for the 2-line support. Primary line (hub) goes to line 1, and secondary line (scout), goes to line 2. Voicemail indicator works all the time on the primary number (hub). No issues ever. Secondary number on the scout is hit and miss. The scout's indicator is always update, but it doesn't always update the phone base. To get the scout to get "back in sync" with the handset base - a reboot of the scout is required. Then it updates. My test was just leaving a message for my 2nd line, which I then played via the scout, deleted it, and the indicator never went off on the base. From my testing, the scout is hit and miss with updating the voicemail indicator on the handset base. More often then not, it doesn't update. That is strange that you get the issue when using the 2-line base. Just curious, have you tried switching so the primary line is the Scout, just to see if it still has the VMI issue. The only way I've been able to duplicate the issue is with a power cycle of the phone connected to the Scout. I've never tried a Uniden 2-line base though. 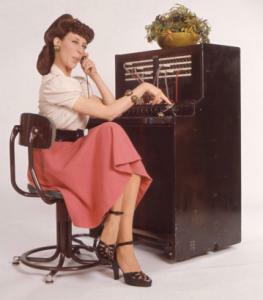 Is there a Voice Mail Tone setting on your Uniden? Have you tried a different phone connected to the Scout to see if the issue is the same. Yes, it doesn't matter which line I try - the problem follows with whatever line the scout is on. I do have that voicemail tone option on the Uniden - and have that set to "off" on both lines. Being that the base works fine from the hub all the time points to the scout. It isn't home wiring either, because I have had the scout directly connected to the hub and the same problem happens. Whatever the hub does when talking to the handset base works 100% perfectly. The scout is hit and miss. A reboot of the scout will get it back in "sync". In my tests, I also noticed that the Hub seems to sync up the VM indicator well, even when I powered the phone off and on. And only the Scout had to be "reconnected" to sync the VM indicator on the phone. But unless I power the phone off/on ... the phones connected to my Scouts seem to stay in sync without problems. Have you noticed anything that makes the phone get out of sync? Or does it happen everytime you get / clear a message? Have you tried hooking your Scout directly to your hub to test it? To eliminate anything to do with the house wiring? Also, try a different phone, if you have one, to see if it has the same problems on the Scout. Your's sounds a lot like how my Uniden phone operated with Vonage ... it was always having problems syncing up after a message was cleared. How did your's work with Vonage? It seems that the Scout doesn't "refresh" the VM signal as often as the Hub ... which is evident by it not syncing back up unless you reset it or disconnect and reconnect the wall port. But what I'm wondering is why it gets out of sync in the first place. It's almost like the Scout only gets this signal from the Hub when the status changes or the connection with the Hub is new, which should work fine. For some reason your phone just isn't getting updated in normal operation. What model Uniden do you have? It is a Uniden TRU9466. I was using another Uniden handset base (single line) originally when testing, but it made no difference going to the new 2-line base. Both bases worked fine with Vonage. I did have the scout directly connected to the hub when testing to rule out house wiring. Have you tried playing your voicemail on the scout, and deleting it on the scout? When I have done that, the scout updates it's voicemail status - but the handset base doesn't. After rebooting the scout, it re-syncs and works. The hub never has the syncing issues with the base. The scout does "sometimes" update, but normally, it doesn't. Rebooting or unplugging it from the hub, and re-connecting normally corrects it. I wish I knew more about the technology behind the scenes to be able to know what could be happening. A fix would be for the scout to work the exact same way as the hub - since the hub doesn't have this problem. I scanned the thread again and didn't find someone else suggesting it, so let me as about wiring polarity for the scout. Have you tried reversing the jack wiring on the jack where the base station is connected? I'd try it just for the line connected to the scout. I know that it should not make a difference, but it might be worth a shot. Just swap the yellow and black at the jack. Also make sure you do it only at one end - either the scout side or the base station side. Let us know if it has any effect. I can try that. Not sure how that would make a difference being that the scout itself has the proper status and has the good "blue" status all the time. All the regular RJ-11 phone cords are straight through. I can swap the pair on the jack. I wouldn't think that doing that on the scout<->base would work, since it would cross the send/receive. From what I understand, the hub<->scout connection is a digital one, so it might not matter if they are reversed. I will give that a try at some point when I get some time.. Although you have a complete circuit (blue status light, dial tone) you may have reversed polarity, which is why Southsound wants you to try it. It is entirely possible that reversed polarity could cause some signalling features to not work at all or to work erratically. I tried that with a couple of phones connected to the Scout, and could not duplicate the issue unless I unplugged the power to the phone and plugged it back in. That was the only time my handsets wouldn't update correctly. I tried checking messages from the Scout in question, from another scout and from the hub ... with the same results. I assume you only have the one Scout, right? It's be interesting to see if another Scout does the same thing for you. Has anyone else on here been able to duplicate your issue? The ones I saw were talking about the loss of power to the Scout, and I think that issue may be the loss of power to the phone. I know it's annoying, because that was one thing I hated about my Vonage. It worked for years, but then stopped working well at all. Have you contacted tech support? If it is an isolated incident on your Scout, maybe they can send you a replacement to test. Worth a try. MarkHofmann wrote: I can try that. Not sure how that would make a difference being that the scout itself has the proper status and has the good "blue" status all the time. All the regular RJ-11 phone cords are straight through. I can swap the pair on the jack. I wouldn't think that doing that on the scout<->base would work, since it would cross the send/receive. From what I understand, the hub<->scout connection is a digital one, so it might not matter if they are reversed. I should have been more clear. The connection between the hub and the scout is fine if you are getting the blue lights. My thought was to change the polarity of the line that went from the scout to the base station of your cordless phone. I've had some corded and cordless phones that expected a certain polarity on the line and would act strangely if reversed. If you are plugged directly into the scout with no wall wiring involved it may be a little more difficult but I think it might be worth a try since all else has failed. You could make a polarity changer with a couple of RJ-11 jacks and a short piece of wire if needed.